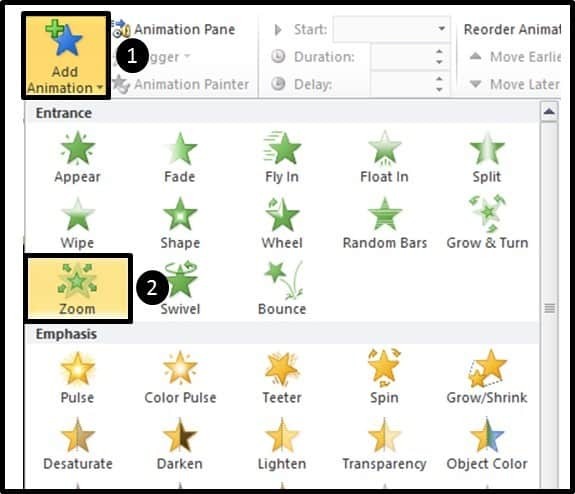 Fireworks are another cool trick you can pull off in your presentations using PowerPoint animations. 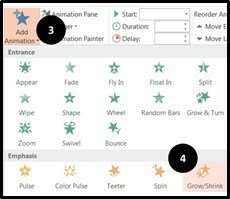 There are many different ways to create your own custom fireworks depending on the style you want – so in this PowerPoint animation tutorial I’ll just show you my favorite technique! This firework trick works in all versions of PowerPoint 2007 and later (and it should also work on the Mac version of PowerPoint too). Just want the animated firework template? 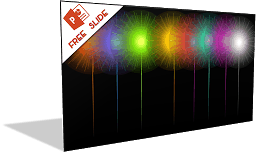 Click here to download 5 pre-made animated fireworks you can use in your own presentations. 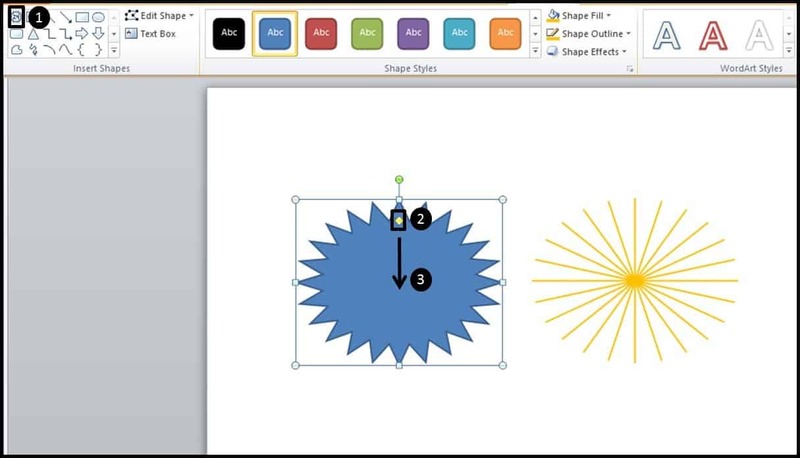 The first step to creating the firework animation effect in PowerPoint, is to create the explosion (ka-boom!). You can see what the end result of the explosion will look like with a black and white background below. 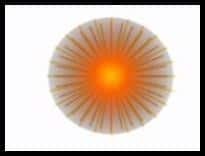 The firework explosion that you see above is made up of 3 different pieces: what I’ll call the circle, the large flare and the small flare. Below we’ll make each of these pieces and then combine them together to create our final explosion. ​The circle is basically just a circle shape with a gradient effect. So we have a radial gradient that starts from center, and you can make it whatever colors you like. 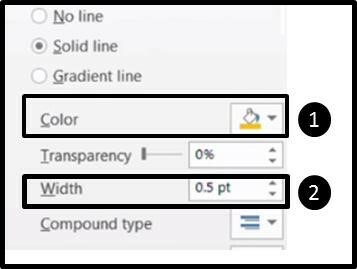 Now although the gradient is far from an exact science, below I will show you the exact setting I used. You can play around with this yourself to see what works best for your own project. 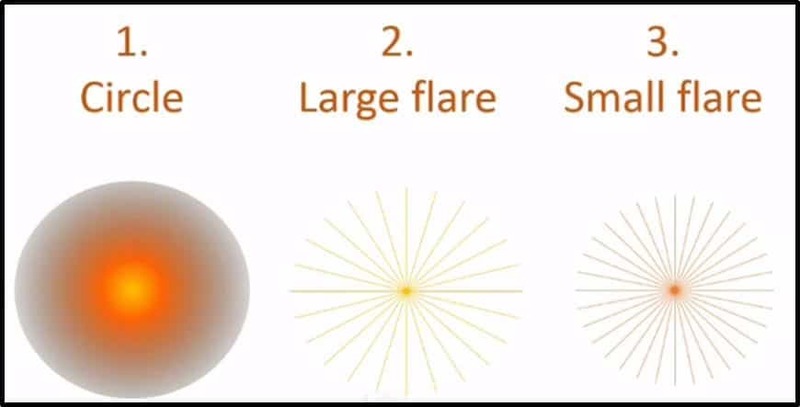 The large flare is actually a 24 point star. 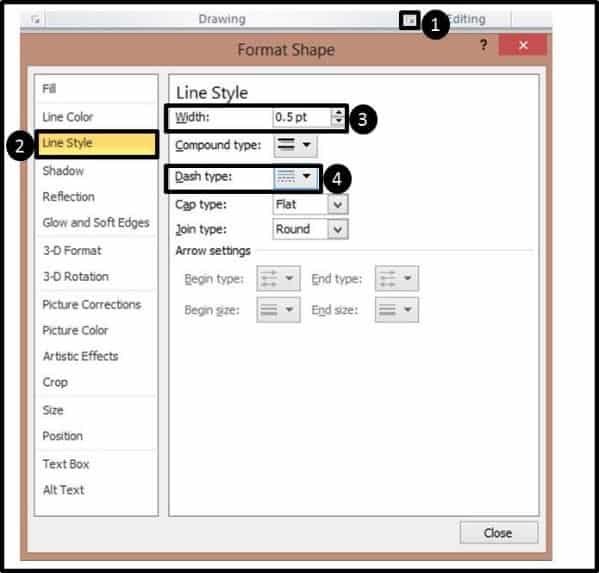 You can get it by going to Insert tab and then the Shapes gallery and simply choosing it from the dropdown menu. 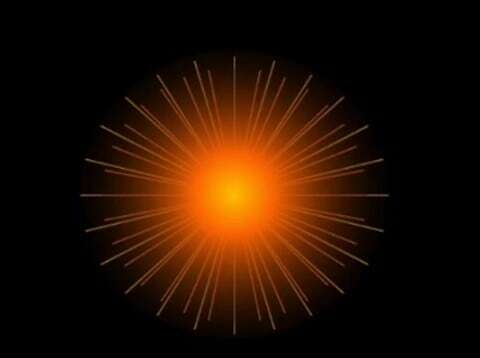 Once you insert the 24 point star on your slide, grab the yellow dot adjuster, you can see that it collapses into this flare like effect. 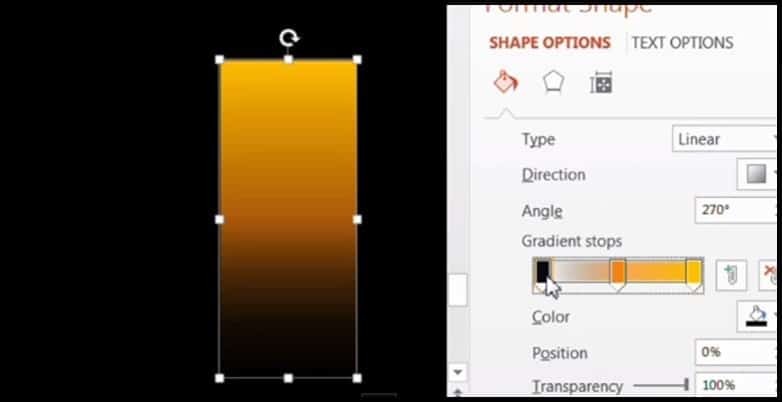 If you pull the adjuster all the way down and change the outline to orange, you’ll get the shape you see on the right (almost looks like a dandelion!). For the orange outline, pick the color and width you like; mine is set to 0.5 pt. Don’t worry about the fill, as we can’t even see that for this shape – we’re just working with the outline. 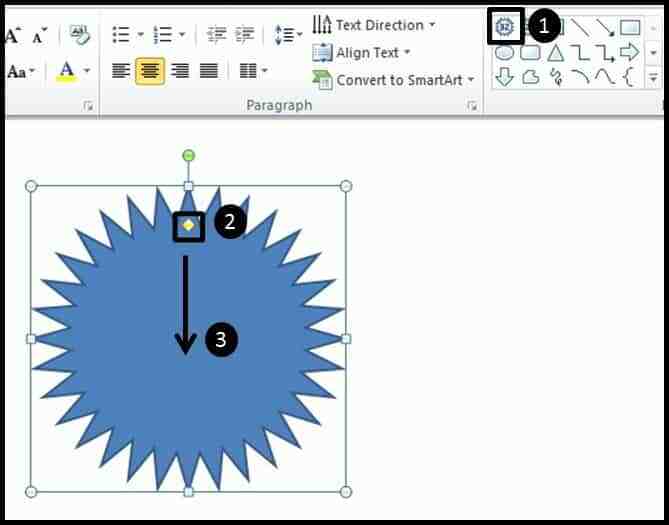 If for whatever reason you don’t have the 24 point star in your version of PowerPoint, you can simply create this same effect with 12 intersecting lines. Doing it with the star method just makes it faster. 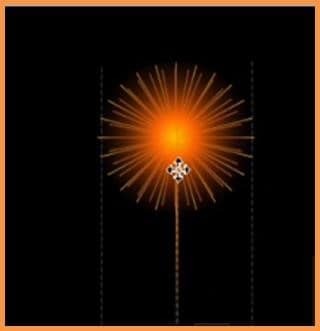 ​So the last piece of the explosion animation is the small flare, which is a 32-point star. 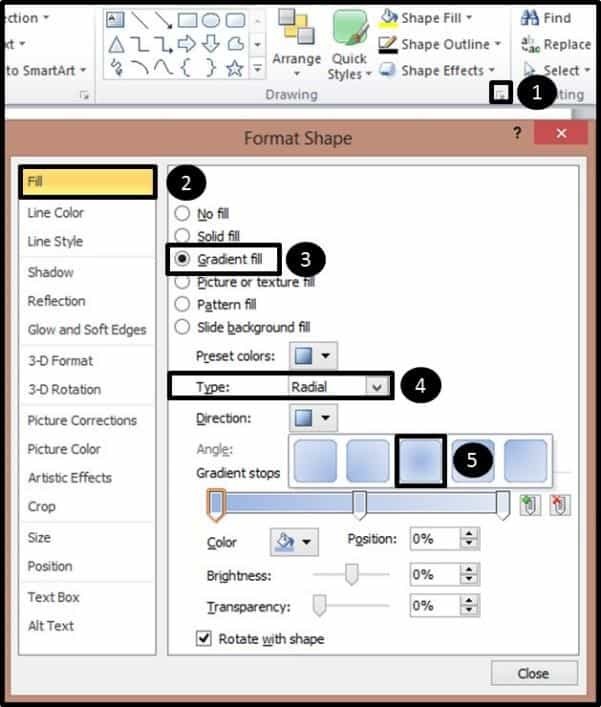 It’s the same process for inserting it – you can get it from the Shapes menu and simply adjust it. This piece has the same settings as the large flare, except it’s a darker orange color. So just use the adjuster and the color settings to set it up. Once you have the three pieces finished, just align them on top of each other, making sure that the gradient circle is on top. 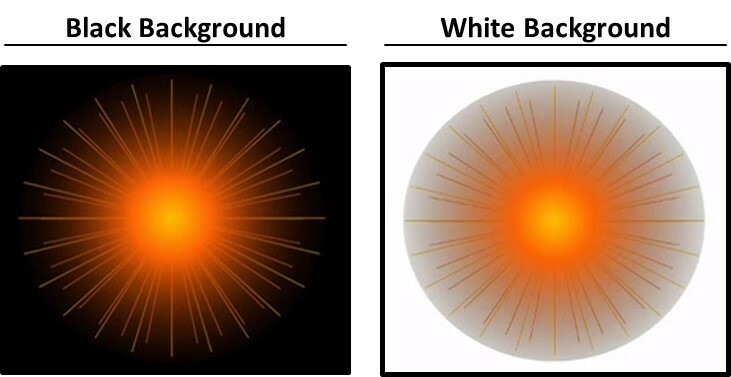 With the objects stacked on top of each other, if you change your slide background to black, your graphic should look like the picture below – now it’s starting to look like a firework! Making the tail for your firework is really easy; it’s just a rectangle with a gradient fill. Here we have a linear gradient with a 270 degree angle, and you can see the specific colors I used down below. Another interesting piece you can play around with is the outline of your tail, playing with the different dashed options and widths to create different effects. 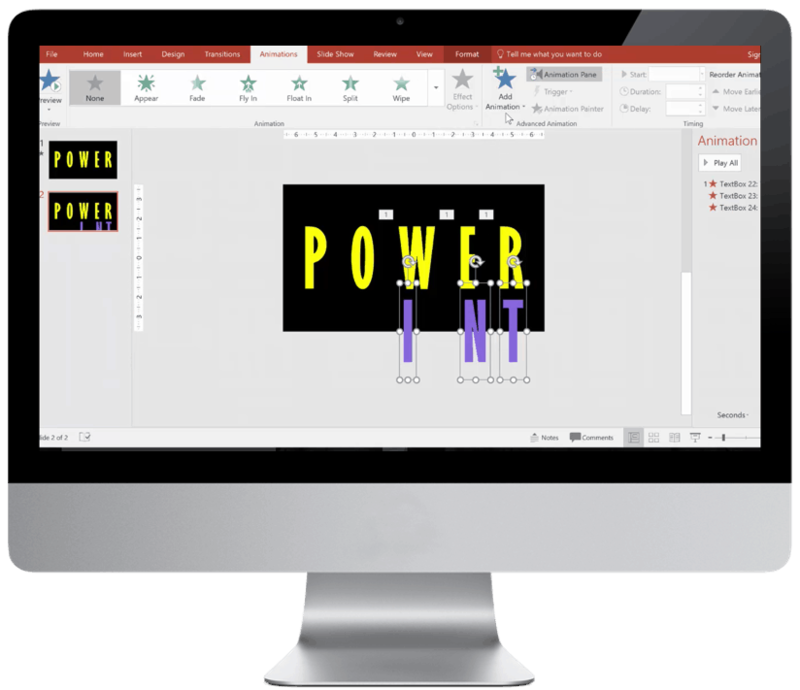 Okay, so now let’s get to the fun part where we bring your fireworks to life using PowerPoint animations. The firework part has 3 animations, and the tail has 2. But before we do anything else, let’s group the firework pieces together, starting with the the flare. Select all the pieces, right-click them, select Group, then Group again (or hit Ctrl + G on your keyboard to group them together). 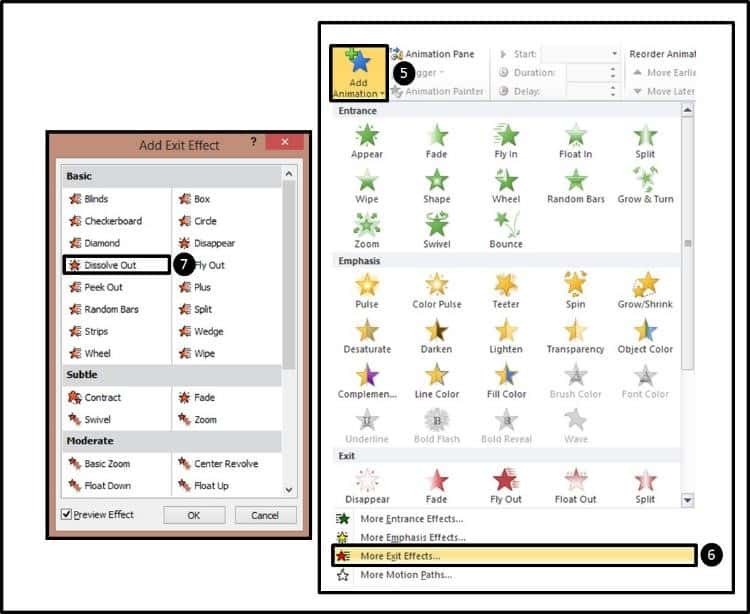 With the flare grouped, just move the tail to fit beneath the flare to create the firework. Animation #1: A “zoom” entrance. Animation #2: A “grow/shrink” for emphasis. 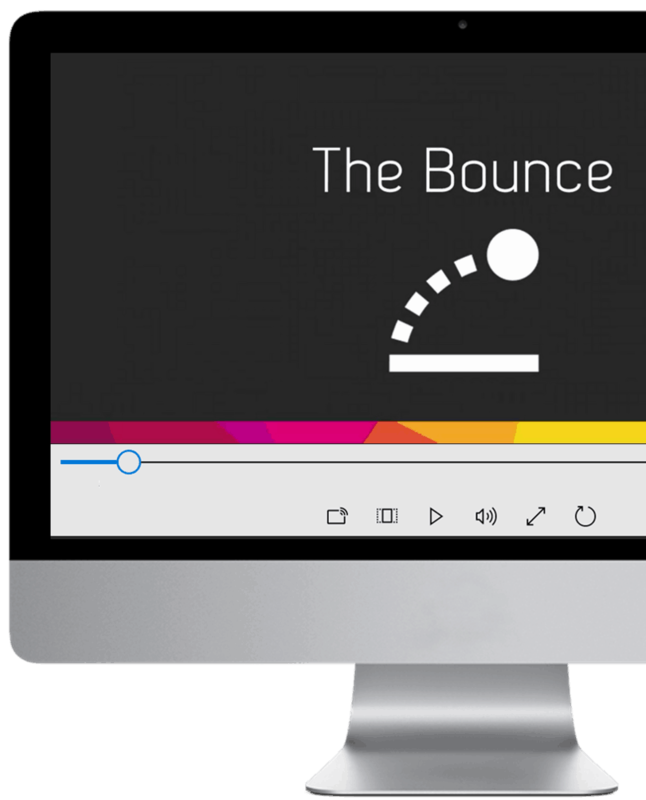 Animation #3: Add a “dissolve out” for our exit effect. 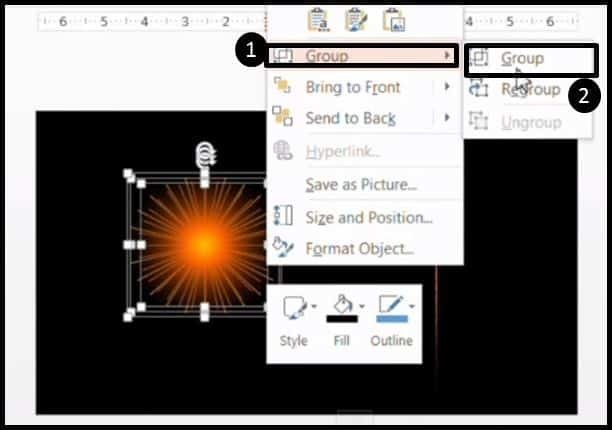 Note: Since we are adding multiple animations to the grouped object, make sure you use the “Add Animation” dialog box. Animation #1: Add a “wipe” entrance effect. Animation #2: Add “random bars” for the exit effect. 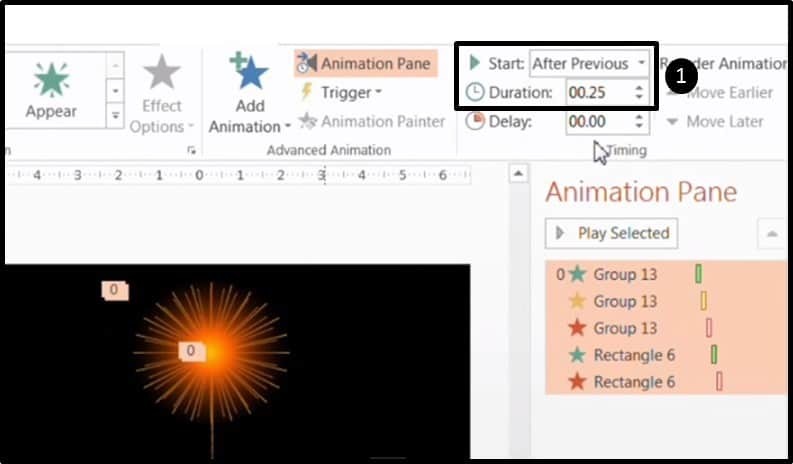 Now, select everything within the Animation Pane, and change all the timings to be 00.25 in duration. 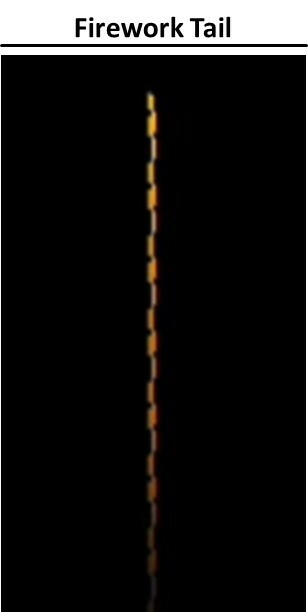 This sequence basically says that the tail goes up first, the burst appears as the tail disappears, then the burst explodes and disappears. Below you have a short video of the effect of what the combination of these animations should look like. 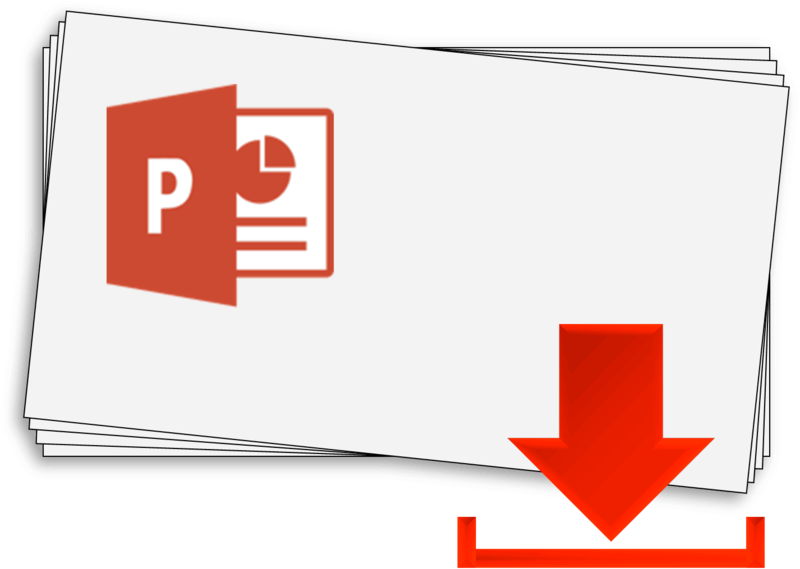 And there you have it – another advanced PowerPoint animation trick to add to your toolkit! This is particularly great to use on holidays as a fun addition to your presentations. 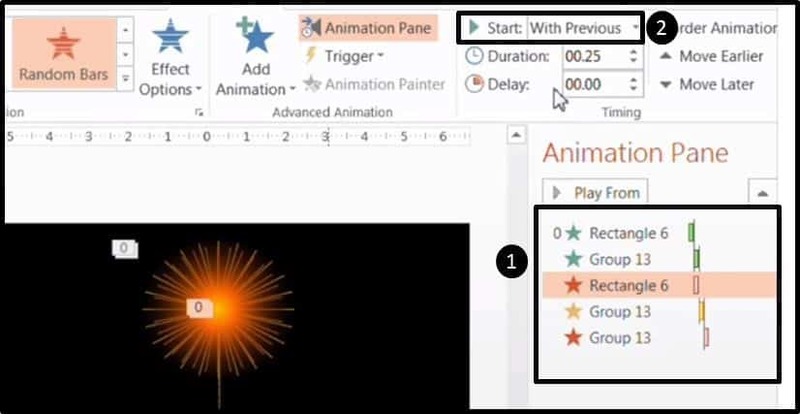 I’d encourage you to really play with different ways to both design and animate this firework sequence as it can be done in so many different ways…hey, you might even discover a technique you like even better! For another cool effect, check out my City Night Scene tutorial to see yet another advanced PowerPoint technique, this time making a picture come to life with blinking lights and fast-moving cars (cue Tracy Morgan!). Just want the fireworks? Click here to download 5 pre-made fireworks you can use in your own presentations. Where should I send these Animated Fireworks files, so you can follow along and use them in your decks? They're 100% FREE.